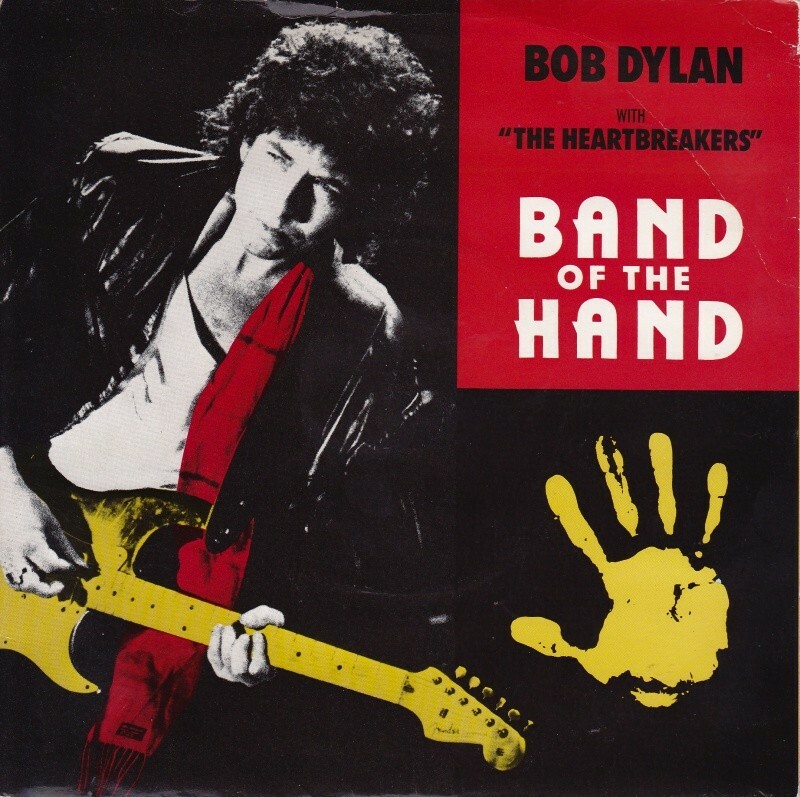 “Band of the Hand” is a song written and recorded by Bob Dylan as the theme for the 1986 movie of the same name, which was directed by Paul Michael Glaserand produced by Michael Mann. Dylan recorded the song while on tour in Sydney, Australia on February 9 and 10, 1986. 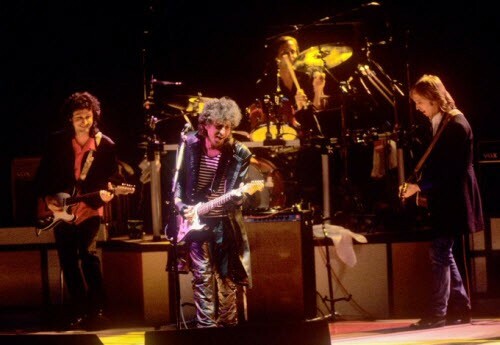 Dylan is backed on the recording byTom Petty and the Heartbreakers, and a group of background singers including Stevie Nicks. The recording was produced by Tom Petty. First live performance: Inglewood Forum LA, June 6, 1986. Released in the movie BAND OF THE HAND and on commercial video by RCA/Columbia Pictures, early April 1986. Released on single MCA-52811, late April 1986. Released on 12” single MCA-23633, late April 1986. 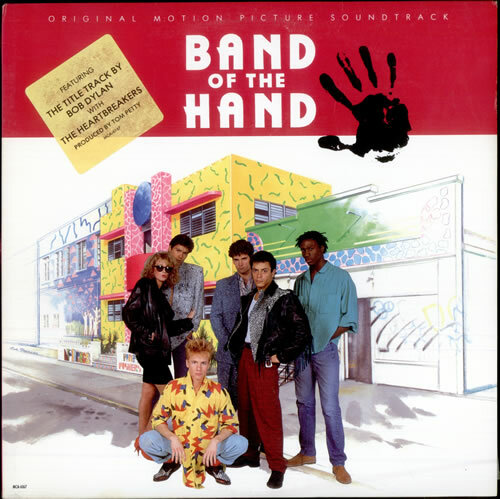 Released on soundtrack album BAND OF THE HAND, MCA-6167, May 1986. The lyrics of the song emphasize the central theme of the movie: the ruthlessness of the vigilante justice that will be used to confront the immorality of the criminal drug world. Although the lyrics posted on Dylan’s official website indicate that the refrain for the song consists of the title, “band of the hand,” repeated four times in succession, the chorus that is sung on the recording is clearly “It’s hell time, man,” which is given as the subtitle of the song. Puts me in mind of a couple of verses from Earl;y Roman Kings. Once again Bob exposing hypocrites and so-called “underdogs”. Bob’s vigilante album. Never more appropriate than nowadays. Great stuff, wish he’d revive it.